Picked up these two beautiful cards the last couple months of one of my favorite vintage footballers. Garrincha’s ability was manifest, but the fact that he dominated despite a “crooked spine, warped knees and a left leg a couple of inches shorter than his right” makes him a fascinating subject. Anyone else have any of his cards? Yes. I have a few. The rarest being a Mexican issue form 1960-61. 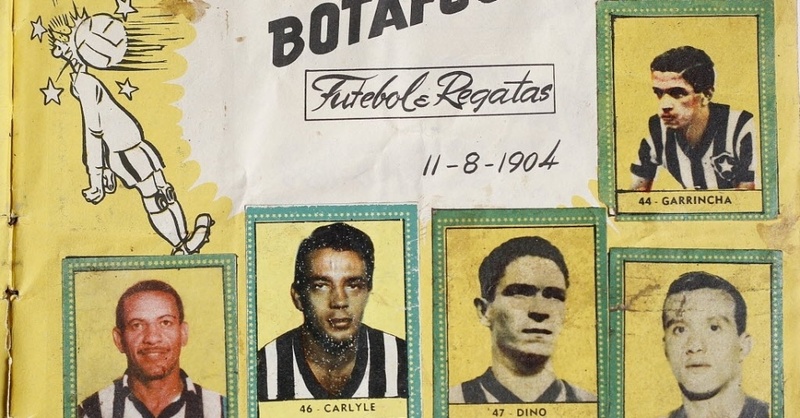 Up to about 1965, non-Brazil cards usually used his full given name rather than "Garrincha". He was Pele's contemporary but faded with injury and a sad demise. Pele made an international comeback in 1968 which culminated in the 1970 World Cup Victory. It is said that Brazil NEVER lost a game where Pele and Garrincha played... which is just amazing (in my eyes). I would imagine that they would jointly hold the record.... and by the way Anish... that card is amazing... all of the copies that I have are in terrible shape, but I am just happy to have them! That wouldn’t surprise me if true. Thanks, which one are you referring to? The Idolos? So is this 56' Vecchi his rookie or does he have any earlier issues? Yes the Idolos cars. I love it. Last edited by aljurgela; 08-16-2018 at 07:54 PM. Alright, here is Garrincha's true rookie from 1953. It's very rare, but I'm pretty sure you could find one in a private collection in Brazil (if you work hard enough). Not exactly as cool as the 1953 but both of these are from 1957 I believe.. Very nice, dude! The #139 card is from 1962 (Balas Equipe). I am not sure about the other one.